Like many of you, I watched the Inauguration. The one thing that stood out most to me is the benediction, or blessing, after President Trump took the oath of office. A rabbi spoke first, followed by a reverend and then a bishop. Judaism was represented and Christianity too. These religious leaders talked about God, a reminder of the significant role that He plays in the imaginations of many Americans. However, I noticed that Muslims had no voice on the platform even though Islam is part of the monotheistic tradition. Islam stems from Judaism and Christianity; that is a fact. 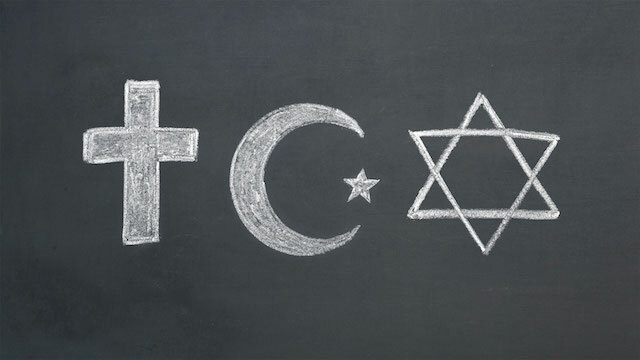 Islam would not exist if it were not for Christianity, Christianity would not exist if it were not for Judaism, and Judaism would not exist if it were not for Abraham. Abraham, the prophet, is the uniting figure among followers of Judaism, Christianity and Islam. He is the first person to claim that there is one God. That is his legacy. While Moses may be more important for Jews. Jesus for Christians, and Muhammad for Muslims, all three traditions link themselves back to Abraham. He is the glue that holds these groups together. The fact that there were no Muslims offering prayers is a potent symbol of Trump’s views on Islam. Does he not recognize that Abraham is the root of our common heritage? How does Islam intersect with his views on God as well as American identity? Abraham is a seed of hope. I am afraid that President Trump is a seed of fear. He dropped the ball by excluding Muslims. Wasn’t there an imam in prayer service at the Washington National Cathedral, which both Trump and Pence attended?